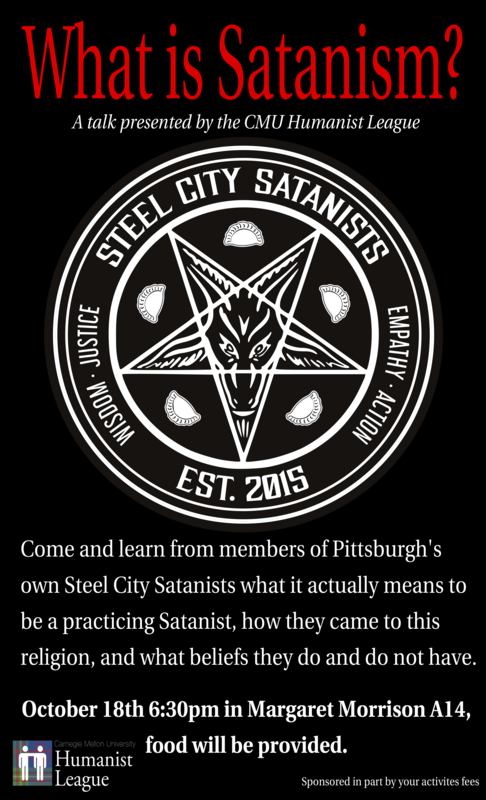 Come hear from two members of the Steel City Satantists and learn about what Satanism really is, and how they came to their beliefs. Santanism in short is a religious belief system centered around empowering communities and dismantling injustices through compassionate action. Join us Thursday October 18th at 6:30pm in MM A14 to learn more! Food will be provided.